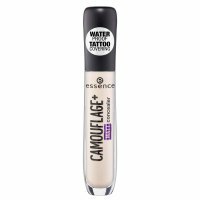 LIQUID CAMOUFLAGE HIGH COVERAGE CONCEALER by Catrice. Liquid concealer. It will cover any imperfections and shadows under eyes. Perfectly blends with the skin. Easy to apply. It's formula provides strong coverage, it is extremely durable and long-lasting. The product is waterproof, ideal for the summer months and rainy days. Equipped with a convenient applicator, which facilitates application of the cosmetic and dispenses the right amount of the product. Available in 5 color versions. 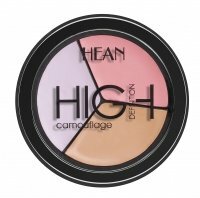 Perfectly covers any imperfections or shadows under eyes. Blends beautifully without trying so much. Definitely a favorite. Good product but I chose the wrong color. Im very bright but the brightest concealer is too much bright. Choose carefully. not full coverage for me..
Its realy good for a drugstore concealer. So affordable and has a pretty good coverage. wow it's an amazing concealer !! coverage is very good and it hides everything you want to hide. and the price is ridicules. Good product, hige coverage. However it tends to crease. Surprisingly good for this price! very good concealer, takes care of all the dark circles under my eyes. Самый лучший консилер который просто поражает покрытием, надо совсем каплю и вбивать пальцами или спец. Кистью тогда ровно ляжет и на весь день! Не сушит, приятный запах. Я лично ложу поверх тонального крема и даже как база под тени, отлично! Amazing concealer! Very high coverage and easily blendable! 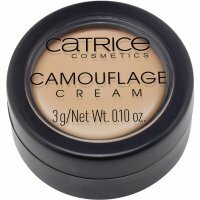 One of my favs among budget-friendly concealers! Covers well undereye circles but may dry out the skin. Be careful and hydrate your undereye area well before using it.